Yesterday, I shared how my great, great-grandfather escaped the Ku Klux Klan. Well, not all of my relatives may have been so lucky. A few weeks ago I heard a new family story – that one of my great, great-grandmother’s sons was lynched. The news came from a 92 year-old man who actually met my great, great-grandmother, Tempy Burton when he was a child. He remembered hearing that her son was lynched, but nothing more. I don’t know why he was lynched, if it was the Klan that lynched him or someone else. I don’t even know which of Tempy’s sons may have been lynched. Besides her oldest boy, Alfred, she had two: Warren and Louis born in the late 1860s probably in New Orleans, Louisiana or Ocean Springs, Mississippi. Both boys probably died sometime after the 1870s when they last show up on the Jackson Educable Index cited on oceanspringsarchives.net. Investigating a lynching is not exactly what I signed up for when I started this blog less than a year ago. I just wanted to find out what happened to my great, grandmother, Josephine Burton Ford. But, now that I have this clue, I have to follow it. This man was Josephine’s brother. His history is my history. He deserves to be found too even if it’s exceedingly painful to see where he ended up. Thank you for always sharing your stories. It gives me the courage to share mine, even when they’re not pretty. Very interesting post: I hope your search will find that was not the case. One of my paternal cousins great-grandfather was lynched in Texas. Not sure is this site would help but worth a try. So sorry to hear about your ancestor. Thanks for the link. I’ll check it out. I would also look at the book 100 Years of Lynchings by Ralph Ginzburg. It is a collection of newspaper reports from 1880-1961 of incidents of lynchings. In the back of the book there is a partial listing of African Americans lynched since 1859. The information is broken down by states. Thanks for the response and the resource. Interesting story, and to have an elder tell it is fantastic. Yes, you have to follow it. It’s strange as the song goes – In researching family, you come upon suprises both good and bad. However it’s out History. We have to tell it, we have to preserve it. Good luck in your search. I hope it’s not the case that he was lynched. But I know how it is. My grandmother had a brother that just vanishes after the 1910 census. No one even knew he existed until I started researching. I’ve often wondered if he was lynched. Best wishes on finding an answer. Although it is not quite the same thing, I discovered that my 5th great grandfather was hanged, drawn, and quartered as a traitor during the Revolutionary War. He was not a traitor, but as a Brethren he was against fighting and charges were “trumped up” against him. It was quite a shocking and painful thing for me to learn. My husband has discovered murders in his family. The journey we have chosen to take is not always pretty, but it is an important part of who we have become. I hope that you will be able to find the answers you are looking for. I am sorry that I don’t have any new resources to share with you. I can’t help but feel such sorrow for poor Tempy. She endured so many painful things in her life. Lori, I am so sorry about your ancestors violent end. I can imagine how painful this discovery was. Thanks for sharing your story. The only comfort for me from this horrendous news is that we were together. It has to be processed on many levels to be able to move forward as a part of both history, and our Family Tree. It pains me so to even try to imagine the pain of our g.g. grandma Tempe dealing with this with baby Josephine in her arms. Was she forced to watch? Did Alf have to bring her the news? 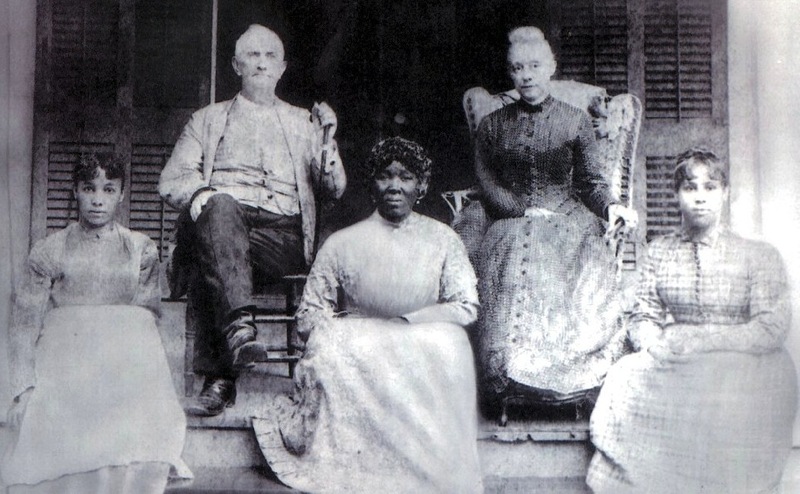 Was she consoled by The Colonel, the father of her 7 children and previous slave owner? This tune from Billie Holiday will never be the same for me. I thank you “D” for your undying devotion to the research and preservation of our family history through laughter and tears. You are the storyteller of our tribe. Please erase my two previous posts. I found the listing: HAL http://people.uncw.edu/hinese/HAL/HAL%20Web%20Page.htm. Download the excel sheet to search by name and state. I’m writing my follow friday on this post, but realized tomorrow is Thursday. Posting it anyway. Thanks for the info on HAL. I actually had checked their information already, but unfortunately didn’t find anything. Looking forward to your post!